About 200 students at the University of Oregon stood For The Kids treated at PeaceHealth Sacred Heart Medical Center at Riverbend; raising more than $23,500. These funds will go to help support the hospital’s greatest needs to provide updated medical equipment, additional training to caregivers, and so much more. During the event, students made flower crowns, participated in mini games, and learned to salsa. UODM created an environment where the students and miracle kids were able to play games and dance together for one common cause. This year, UODM created a new tradition of a Disney Fashion Show for the kids where they were able to dress up as their favorite characters and walk the runway. Part of the Miracle Network Dance Marathon Program since 2007, UODM has helped sick and injured kids like Hayden Kumle receive the best care available. Hayden began fighting for his life the moment he was born. It was discovered that Hayden’s intestines had formed properly inside his body but had no connection to the outside. That meant that he was completely unable to eat or even swallow, and unable to eliminate waste. He was intubated to protect his airway from aspiration, his abdomen was severely swollen and painful, his left lung was collapsed, and he had heart disease involving deformed valves and holes in his heart. This cascade of events sent him into the early stages of heart failure. Within the first 24 hours of his life he had 2 surgeries to essentially connect his intestines, giving him a colostomy, and then fixing his esophagus. He remained on life support for 10 days alone in his bed. But throughout all this, Hayden attends Dance Marathon every year and shows off his spunky moves. 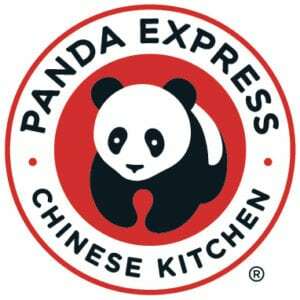 Learn more about how Panda Express is supporting the charitable need of children’s hospitals. Thanks to all the students at the University of Oregon who participated in Dance Marathon for PeaceHealth Scared Heart Medical Center.